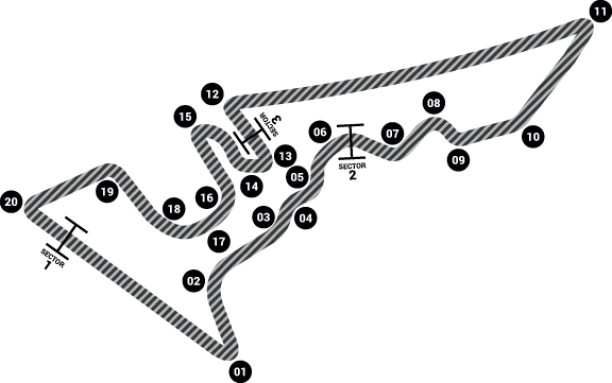 Well, what did you think of the 2011 Turkish Grand Prix? A stroll from pole position to chequered flag for the leader, for sure, but if you widen your vision to take in the race as a whole then Istanbul Park certainly delivered. A little way behind Sebastian Vettel’s RB7 Mark Webber and Fernando Alonso raced hard, swapping positions more than once, while Lewis Hamilton and Jenson Button in their chrome McLarens exhibited racecraft with aplomb. Passing and repassing each other through turns 12, 13, 14 and into 1, all the while exhibiting controlled aggression but with the right amount of intra-team respect. Throw Nico Rosberg in his Mercedes into the mix and I think you’ll agree the frontrunners provided plenty of entertainment. Further down the field Buemi, Alguersuari, Petrov, Heidfeld, Perez, Kobayashi, Massa, Schumacher, et al, fought hard all race long. Imagine my surprise, then, to return to the media centre post-podium to be greeted by Fleet Street’s finest loudly proclaiming that what went before amounted to nothing more than “A dull race in a dull place”. According to my learned colleagues not one of the myriad overtaking moves executed during Sunday afternoon’s race at Herman Tilke’s tour de force of a circuit had any relevance to the result. That strikes me as a little like arguing that a 6-6 draw between Manchester United and Chelsea might as well not have been played; we’ve just ended up with what we started with after all! Quizzed as to his opinion on the state of F1 racing 2011 style, third place finisher Fernando Alonso seemed not to agree with the journalists’ sentiments – that the sport has gone from real racing famine to a farcical feast – reminding them that in the not too distant past the very same writers (and enthusiasts worldwide), when asked, expressed a desire for much more of what we’d just witnessed. Perhaps if the self same people were now complaining – he wondered aloud – we should ask them again! Seems F1 fans and casual observers agree with the Spaniard. They’re loving F1’s brave new Wacky Races world and viewing figures are up across the board. Certainly the much lobbied for rules and regulations introduced this year – giving us DRS, KERS and rapidly degrading tyres – have created a wildly variable set of scenarios with easier and therefore increased amounts of overtaking, untold pit stops, crazy race strategies and more. Is it not therefore reasonable to expect the FIA, Pirelli, the teams and drivers to take more than a handful of races to get used to them all? For as long as I’ve been watching and/or working in F1 a season will generally throw up four or five cracking events, a few mediocre ones, and a certain number of not so interesting Sunday afternoon drives. Next time a race doesn’t quite live up to their expectations, couldn’t those now criticising the sport bear the flow of a year’s racing in mind rather than bow to the attention-deficit nature of modern day reportage and dismiss it all out of hand? Sagacity imparted in black and white, and now getting ready to leave, one ‘seasoned’ tabloid scribbler stands over my computer screen and proudly proclaims, “Yes, but you see this was the wrong type of overtaking.” With the impressive tally of four grands prix under his belt, he’s certainly formed an opinion quickly. Never mind that he’s wrong, he’s going to tell the world how it is. Next up is Barcelona and they always moan there! Please now take a few minutes to enjoy my pictures from the 2011 Turkish Grand Prix by clicking here.